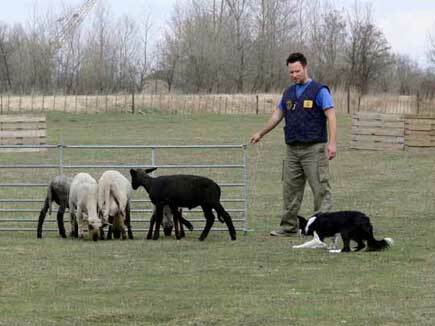 On Sunday, 2nd April, 2006, I competed in a sheepdog trial on Hannes Lehner's sheep farm near St. Andrä am Zicksee, not far from the Austrian/Hungarian border. 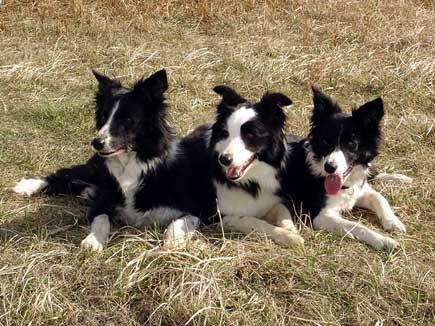 I ran with Puppy and Gael in 2nd class and with Myf in 1st class. The judge was Frauke Spengler from Germany. I won with Gael and with Puppy I was 2nd. Gael achieved maximum points for outrun and lift, although she lost three points at the fetch and also at the drive. Time ran out before we managed to shed two off. Puppy also made a very good outrun without losing any points. But she lost two points at the lift and again at the fetch. We had some problems with the first drive gates and we lost 12 points at the drive. I did not succeed to shed with Puppy, either. The sheep were as though they were glued together and I had only one opportunity to shed, but Puppy was too slow to come between the sheep. In 1st class there were two runs, at which Myf did very well. 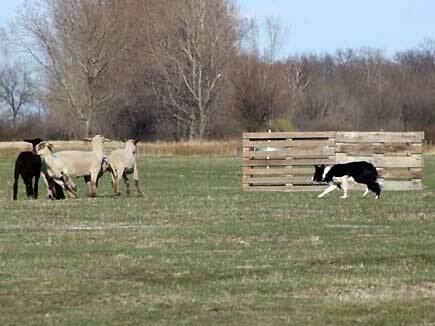 This was her trialling debut, and she was placed 2nd. In the first run she lost only two points at the outrun and two at the lift. 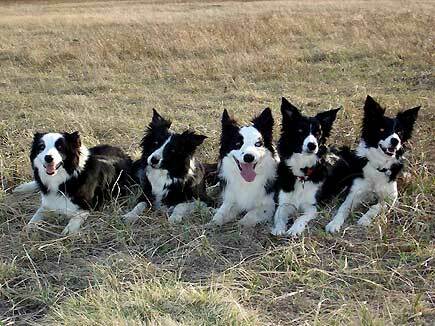 At the fetch, Myf became confused with her left and right commands (on this occasion I was not the guilty party! 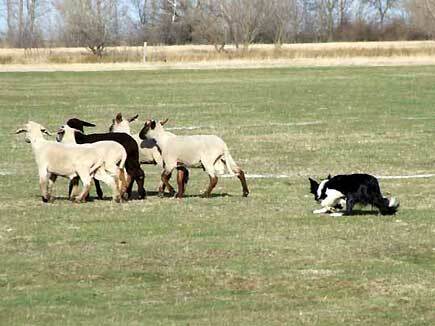 :-)) and so the sheep missed the fetch gates (we lost 16 points). She achieved maximum points at the drive and the "stabilisieren" (immobilising the sheep - in this exercise sheep must stand still for 15 seconds), but she lost a further two points at the pen. The second run outrun was not so good. Myf stopped short and I was forced to give her two extra commands (she lost four points). Subsequently, the lift was not so good either and she lost three points, as well as at the fetch. Once again, drive and "stabilisieren" were perfect, but time ran out before we managed to put the sheep into the pen. At the same place the day before there was a "rehearsal" trial, for training, where both Puppy and Gael managed to shed the sheep. Overall, I felt that my dogs worked better on the Saturday than on the Sunday (except for Myf's outrun, which was better on Sunday) (results).